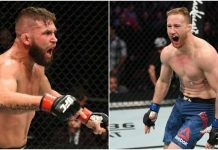 On Saturday night, in the main event of the UFC’s anticipated return to Orlando, Florida, featherweight knockout artist Jeremy Stephens authored yet another brutal stoppage win, this time at the expense of Josh Emmett. 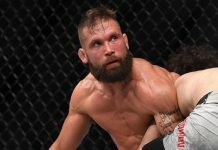 Speaking on the UFC Orlando post-fight show, Jeremy Stephens defended his victory, and the questionable strikes that served as the catalyst for it. “Guys look, I’m going for the finish here. 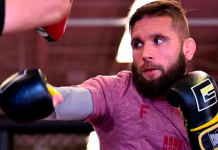 I’m looking to elbow,” Stephens said (h/t MMALatest). If they turn their head, the ref will tell you it’s OK cause he’s turning his head so make the adjustment. 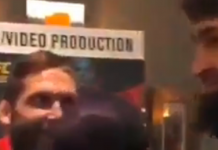 In that moment, I’m elbowing, elbowing, looking for it. He looked under and I nailed a couple. When I fought [Dooho] Choi, I elbowed the referee in the back of the head. He jumped in. 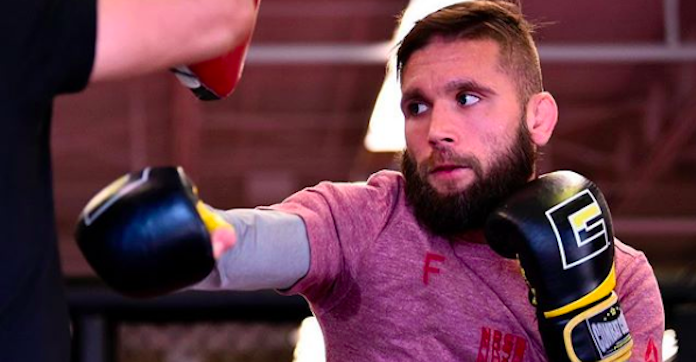 Whatever the case, Stephens isn’t worried about developing a rep as a dirty fighter. For him, it’s all about the almighty dollar. 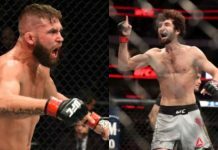 Where do you stand on the strikes thrown by Jeremy Stephens in his fight-ending salvo?